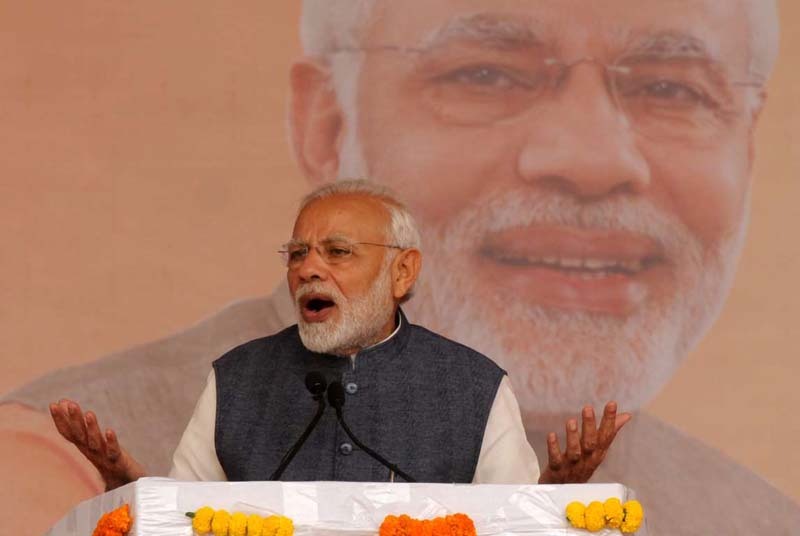 Prime Minister Narendra Modi on Tuesday invoked the Kartarpur corridor to hit out at the Congress party during an election rally at Hanumangarh in Rajasthan. Modi said that in 1947 when Partition took place, the Congress party was in such hurry to take charge of the country that it did not keep in mind the sentiments of the Sikh community and thus made the huge mistake of letting Kartarpur Sahib Gurdwara go to Pakistan. Speaking in Hanumangarh, Modi said that it seemed to be his destiny to fix the errors that the Congress had committed in its 70 year rule. “My destiny has been to fix Congress’s wrongs. The holy work of Kartarpur corridor has also come to me. We should ask the Congress, why they had let Kartarpur go to Pakistan at the time of Partition. Had the Congress paid a little bit of attention, Kartarpur Gurdwara, which is just 3 kilometres away, would have been in India. We should also ask the Congress why they had not got the corridor built in the last 70 years,” Modi said. Modi said the simple reason that Kartarpur was in Pakistan was because the Congress leaders back in 1947 had no idea about the importance of Guru Nanak Dev for the Sikh community. He also said that work on the Kartarpur corridor was being done now because of the people who had voted the BJP government into power. The foundation stone for the much-awaited corridor linking Gurdwara Kartarpur Sahib - the final resting place of Sikhism’s founder Guru Nanak Dev - to Dera Baba Nanak shrine in India’s Gurdaspur district was laid last week. Modi continued his attack on the Congress, saying that till five years ago, the nation would wake up to news of some scam or the other. “Have you seen any news of this kind in the last five years?” he asked the crowd gathered there.